Welcome to Program Organization tutorial offered by Simplilearn. The tutorial is part of the MSP® Foundation and Practitioner course. In the previous lesson, we learned about the transformational flow in brief. In this program organization tutorial, we will discuss certain aspects of the first governance theme, i.e. the program organization. Let us begin with the objectives of this lesson in the next section. Explain the roles, responsibilities, and attributes of the Sponsoring Group, the Senior Responsible Owner, and the Program Board. Describe the responsibilities and attributes of the Program Board members. Explain the integration of program and project structures. Describe program organization within the transformational flow. Identify the areas of focus of various roles. Let us understand where program organization is placed in the MSP® framework, in the next section. MSP® Framework is a diagrammatic representation of MSP® principles, governance themes, and transformational flows. Program organization is one of the governance themes which is placed in the second circle. Program organization focuses on the roles, defines the responsibilities and also details the program hierarchy. This theme will help us to understand the important roles and their related attributes and also how these roles interact with each other. In the next section, we will look into the concept of program organization. Clear Responsibilities for Each Role: Each role should have responsibilities assigned clearly and they should be defined in such a way that it supports other roles. Defined management Structure and Reporting Arrangements: For this to happen, the management structure and reporting arrangements should be defined and enforced. An organization structure should be well defined. People should know whom they are reporting to and what they are supposed to do. Only skilled people should be hired for a particular role. 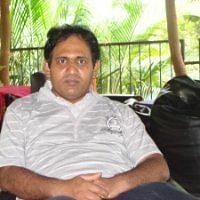 It is easier when a Java developer is hired for Java coding, but it is imperative to factor the skill quotient for a role in senior management while hiring someone for leadership skills. There should be continuity and stability at higher levels of the organization. As an organization is driven by the vision of the leaders, changing them very often will lead to trouble. We will discuss the program leadership in the next section. Program leadership consists of the Senior Responsible Owner or SRO, the Program Manager, the Business Change Manager or BCM and the Program Board. We will go through each role in detail later in this lesson. There are multiple tasks that are expected from these roles. The first task is to create a vision. Vision is a statement shared by an organization where it states its preferred future. It has to be crafted and shared with all the stakeholders. It is an important tool to get stakeholder buy-in and also to ensure the program direction. Leadership also motivates the team to fulfill their roles effectively. It can be rewarded through appraisal systems, giving more autonomy and empowering individuals to take their decisions. Leadership should also show their commitment to the program and ensure that the stakeholders are engaged effectively and get their support for the program. The focus should be on realizing the desired benefits and for this, they must put right resources in the right place at the right time. Leadership roles demand relevant skills and experience to manage different kinds of conflicts arising out of cultural differences or related to resource sharing. Also, project coordination is an important aspect to ensure that benefits are realized. Risk management is another scenario where leaders need to play an active role throughout the program. Now let us review the program structure in the next section. The image displays the Sponsoring Group at the top level. The Sponsoring Group drives the program by providing necessary approvals and finances. The program board is then directly involved in managing the program. The Senior Responsible Owner is the intermediary between the program board and the Sponsoring Group. The program board further interacts with each individual Project Board through a project representative, who could be a project sponsor or executive. In the next section, we will discuss the Sponsoring Group. Once the program or a tranche is approved, the Sponsoring Group commits to provide for all required resources and pledges the financial assistance. The Sponsoring Group defines the direction of business by choosing which programs are approved and which are not. Once a program is approved, the Sponsoring Group makes sure that the program is aligned to organizational strategy at all times. Any executive, committee or board in the organization can be given responsibilities of a Sponsoring Group for a program. In case of a multi-program environment in an organization, corporate portfolio board can play this role. Let us discuss the responsibilities of the Sponsoring Group in detail in the next section. Providing Organizational Context for the Program. The Sponsoring Group formally provides the organizational context for the program. They verify the program’s business case and confirm if it is in line with organizational strategy or not. Only when they are satisfied they will support it for going further. The Sponsoring Groups are also responsible for authorizing the vision statement, program mandate, program definition, and funding. First of all, approval of program mandate initiates the program. Only then the transformational flow activities for a program begin. The Sponsoring Group assists the Senior Responsible Owner in writing the vision and approves it to be shared with all the stakeholders. Program definition once approved by the Sponsoring Group becomes the guide for program stating what benefits are to be delivered and within what timelines. The Sponsoring Group appoints the Senior Responsible Owner from its peers. Most of the responsibilities of the Sponsoring Group are delegated to the SRO. Throughout the lifecycle of the program, the Sponsoring Group will advise and support the SRO. The Sponsoring Group actively initiates and participates in various reviews. In case of the end-of-tranche review, the Sponsoring Group will take the decision to move to the next tranche after analyzing the results of the review. Many times programs may face a strategic dilemma, which is resolved by the Sponsoring Group and ensures the program is on right track and aligned with the strategic objectives of the organization. The Sponsoring Group will provide continuous endorsement to the program and is committed to it. This helps the teams during executive meetings. Most importantly, it is the Sponsoring Group that authorizes and approves delivery of the program. The program cannot be closed until it is endorsed by the Sponsoring Group. In the next section, we will discuss the responsibilities of the Senior Responsible Owner. The SRO is the owner of the program vision statement and business case. He/she is responsible to ensure strategic alignment of the program organization strategies. The SRO will provide clear leadership and direction throughout the program. It will be his/her responsibility to get a financial commitment from the Sponsoring Group to get the program started. The most important stakeholders are managed by the SRO personally. He/she is accountable for ensuring that all governance and control mechanisms in the program are in place. The SRO chairs the program Board and though he delegates most of the responsibilities to the Program Manager. The SRO keenly participates in managing the risks and issues of the program. In the next section, we will focus on the attributes of a good SRO. The SRO should be a senior and experienced person. This will help him get respect from the team and also hold him in good stead to solve the issues in the program. The SRO has to work proactively and act as a visible driving force in the program. The SRO should motivate the team and ensure the program is moving at a good pace. It is imperative that the SRO has good leadership and communication and decision-making skills. Leaders motivate people and we need a person whose character has the spontaneity and compassion for the program and the team. The SRO should possess a combination of realism, openness, and clarity of expression to communicate program's vision effectively. The qualities mentioned above will help give purpose and direction to the program and take strategic decisions. The SRO should focus on the delivery of the benefits and achievement of the end goal. If the SRO has desired credibility with team and stakeholder, it will help immensely to forge good relations with team and stakeholders alike. The SRO has to have access to key stakeholders. Now, let us discuss the role of the program Board in the next section. The program Board is set up by the SRO to drive the program and deliver the outcomes and benefits. The Program Board comes into existence, right after getting approval from program mandate. The Program Board reports to the SRO and even though the program Board’s main responsibility is to drive the program, the overall accountability still remains with the SRO. The program Board members support the authority of the SRO and ensure appropriate coordination across projects and activities that comprise the program. Now let us understand the structure of the Program Board in the next section. Before we get into the structure of a program, we must understand the concept of accountability. We have discussed earlier that the overall accountability of a program lies with the SRO. Members of the program board are individually accountable to the SRO for their areas of responsibilities and delivery, within the program. The program Board consists of the Business Change Managers and the Program Managers and it is chaired by the SRO. The structure of the Program Board is shown below. The program Board works with the program Office and ensures that the planned capabilities are delivered and desired benefits are realized. In the next section, we will discuss the responsibilities of the Program Board. The program board defines the acceptable risk profile, thresholds for the program and its constituent projects. These thresholds help projects to decide which risks can be managed at the project level and which needs to be escalated to the Program Manager. The program board has to ensure that the program delivers within its agreed boundaries. If the program has to cross the defined boundaries, it needs to be decided by the SRO and approved by the Sponsoring Group. The program board also resolves strategic and directional issues between projects, to ensure the progress of the programs. One of the responsibilities of the program board is to ensure that the integrity of benefit profiles and realization plan has been maintained throughout the program. It should focus on the development, maintenance, and achievement of the blueprint. It ensures that the program is going to deliver as planned. The program board should assure operational stability and effectiveness through the program delivery cycle. This is necessary so that the day-to-day operations are confident about upcoming changes. In the next section, let us look into the program board membership. The Senior Responsible Owner or SRO chairs the Program Board. The other members, who are always a part of the Program Board are the Program Managers and the Business Change Managers or BCMs. Apart from them, we can have Project Executives from relevant projects, representatives from corporate functions like administration, finance, human resources, etc. The diagrammatic representation of the members of the Program Board are as shwon below. The Lead Supplier can be part of the Program Board if there are multiple senior suppliers across the projects of the program. One of the suppliers among them is appointed as a lead supplier and invited to join the Program Board. In the next section, we will discuss the roles and responsibilities of the Program Manager in detail. The Program Manager is responsible for leading and managing the program on a day-to-day basis. It is his responsibility to deliver new capabilities, ensuring program governance, realize the benefits, and finally close the program. The foremost responsibility of the Program Manager is day-to-day management of the program until it gets completed or closed. The Program Manager is responsible for planning and designing the program, proactively monitoring its overall progress, resolving issues, initiating corrective action, managing and resolving risks and other issues that may arise during the course of the program. A project manager maintains overall integrity and coherence of the program leading it in the right direction. The Program Manager is also responsible for managing the program’s budget, monitoring the expenditures and costs against benefits, and defining the program governance framework. He or she will develop the blueprint along with the Business Change Manager and manage it throughout the life of the program. He or she is responsible for facilitating the appointment of individuals to project teams and ensure the efficient allocation of resources and skills within the projects. The Program Manager also takes lead in engaging key stakeholders. Also, working as a proxy of the SRO, he or she can constantly update the SRO about the progress of the program. Now that we have understood the responsibilities, let us look into the attributes of a good Program Manager, in the next section. The Program Manager should have the ability to work positively with the full range of individuals and groups involved in the program. This will lead to an effective working relationship with other members of the program management team and stakeholders. They should have the necessary experience to be able to take on the responsibilities required of the role. Strong leadership and management skills will definitely help them in managing the program successfully. They should also understand the wider objectives of the program to ensure the coordination between projects. The Program Manager has to maintain credibility within the program environment and should have the ability to influence others. This is useful while interacting with key stakeholders to get their support. Good knowledge of techniques for planning, monitoring and controlling programs, including risk management will add to the effectiveness of the Program Manager. Knowledge of project management disciplines like PRINCE®2 will also help a Program Manager assist the Project Managers. Good knowledge of resource allocation and budgeting will help the Program Manager increase efficiency in program management. Now we will discuss the profile of the Business Change Manager in the next section. We have already discussed that the SRO is accountable for the overall success of the program, and the Program Manager is mainly responsible for the delivery of new capability. The Business Change Manager is responsible for realizing the resultant benefits by embedding new capabilities in business operations. Thus all three working together realize the benefits of the program and help in the transition of day-to-day operations. In the next section, we will discuss the Business Change Manager’s responsibilities in detail. Monitoring the performance of transitioned benefits. Ownership of benefit profiles and the benefits realization plan. They create benefit profiles for their respective operational areas and then track them to realization. They also give inputs to blueprint by providing the “to-be” or the future state of the organization. The BCMs also monitor business stability and on-going capability to cope with change. They ensure that their sections are ready for a change. The BCMs advise the Program Managers on decisions related to progress, ensuring business changes are effectively integrated and also whether the work of the program and each project is contributing to planned benefit or not. If a program does not add any value, we should close the program and similarly, if a project is not there to provide an output required for the program, it should not be a part of the program. The BCMs work to optimize the timing of the release of project deliverables into business operations and when the capability is ready for delivery, they notify expected benefits to all the stakeholders. The BCMs need to concentrate on ensuring effective communication with all the areas of business they represent. In the next section, we will focus on the attributes of the Business Change Manager. The following are the attributes of the Business Change Manager; The BCM should have a rich experience in a relevant business area and environment. Please note that the BCMs should possess ongoing operational responsibilities and they are taken from relevant business areas. So, if a program affects more than one business area, it is better to have multiple BCMs, as each BCM is responsible for their operational area. It ensures that changes resulting from the program are firmly embedded in the organization. They should have the confidence in senior managers and should understand the management structures, politics, and culture of the organization (s) involved in the program. Management skills to coordinate personnel from different disciplines and with differing viewpoints are extremely necessary for them. The BCMs should possess change management skills, experience to manage the complex situation and maintain focus on the program's objectives. The ideal BCM should have a deep understanding of the organization’s operational business. They should be able to identify, quantify and define benefits. Each Business Change Manager is supported by a business change team. Possess ongoing operational responsibilities within their business areas. Understand the management structures, politics, and culture of the organization (s) involved in the program. Possess change management skills, experience to manage the complex situation and maintain focus on the program’s objectives. Identify, quantify and define benefits. Let us focus on the business change team in the next section. As we discussed in the previous section, each operational unit involved in change can have their own BCM. They are supported by the change team to ensure that transition is smooth and the team is ready before the actual transition starts. The main skills needed for the BCM team are: change management skills, operational knowledge, and experience. Change management is necessary, as during the transition there will be scenarios that will need change to be effectively managed. Similarly, the operational knowledge will give the team enough expertise to assess the impact of change. The business change team ensures that the transition of the operational unit is as smooth as possible and it should function at maximum capacity as early as possible. Let us understand how the Program Office aids the program in the next section. The Program Office coordinates all the information, communication, monitoring and controlling activities for the program. The Program Office provides support to the projects and initiatives by helping with resource allocation and timely communication. 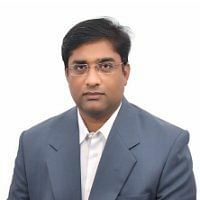 The Program office also provides assurance and governance, including organization-defined standards like CMMI and P3M3, approvals, financial monitoring health checks, etc. The Program office supports multiple programs in big organizations at once. In the next section, we will focus on the services provided by the Program Office. The Program Office can help with providing team access to policy and strategic information and informing the programs about policy changes. When strategic initiatives are not successful, the Program Office can help them analyze the reasons. Program preparation plan to monitor the program. Using the inputs from various documents like vision, blueprint, business case benefit profiles etc. the Program Office can administer and consolidate different management baselines like program plan, benefits realization plan quality and assurance plan etc. First, it deals with the program itself and includes independent audits or assurance activities, mentoring, custody of program information, standards etc. From an external perspective, the Program Office can spot external events like strategy change etc. and analyze how it will impact program. From an internal perspective, the Program Office is best placed to design, establish and maintain communications between programs and projects. The Program Office plays an active role in managing a large amount of information created in a program. Similarly, the Program Office also assists with resource management by maintaining a database of resource, skills availability etc. They can also help with the acquisition of resources by maintaining relations with external organizations. The Program Management Office will have an expertise in the use of tools for project management and program management. Project management tools are about modeling the project like defining how to test when to deliver etc. Program management tools help programs about what is happening in other parts of the organization. The interaction between people, work, and purpose of the program should be understood and reflected in plans. The other responsibilities of the Program Office include tracking and reporting the progress against the plan, financial accounting, risk and issue tracking, analyzing critical dependencies, maintaining stakeholder list and their interests, quality and change control. We will look into the concept of program assurance in the next section. Assurance is an assessment of specific aspects of the program to generate confidence that the program is managed effectively and is on track to realize planned benefits. Assurance, like audit, should be carried out independently by an external or internal reviewer team. Risk management assurance verifies whether the program is doing effective risk management or not. It will also verify all planned risk responses and how effective they have been. Business assurance and stakeholder assurance are other examples of assurance reviews. Assurance reviews can be carried out at any point, followed up by more formal reviews. We should repeat them in case problems have been identified in a particular area. We will cover program assurance in more detail in further lessons of MSP®. In the next section, we will discuss a few more governance roles in program management. Risk management requires considerable expertise and experience. The Risk Manager provides this support to the program and assists the SRO and the Program Manager by providing effective control on risks. The Program Accountant is responsible to ensure that financial accounting criteria are met and the program is following all the accounting principles. This is one of the mandatory tasks and has to be done, to avoid negative implications. Design Authority is a role needed at specific instances to provide expert advice for some standalone service or strategy to ensure appropriate alignment and control. For example, preparing a new IT function for supporting organization or hiring an auditor to review the program and ensure that it is aligned with organizational strategy. Procurement expertise is needed in the organization to ensure compliance with corporate strategies and alliances. Almost all programs need to adopt a form of procurement. In the next section, we will focus on an example based on the concepts discussed. Mr. Smith Gordon, the CEO of Nutri Worldwide Inc., has identified Kylie Honkele, the CFO, to be the Senior Responsible Owner of the program, Nutri Snack. The aim of the program is to create and launch a new evening snack. Project 3: Identifying the sellers’ to ensure successful completion. William Cooke, the EVP of the R&D department has been appointed as the Program Manager. 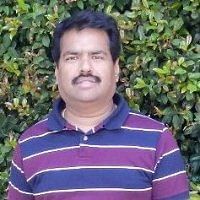 He has no previous experience in running a program but has good knowledge in R&D. Belinda Dunes, the EVP of the Global Alliance department has been identified as the Business Change Manager. She also has a lot of experience in supply chain management. Kylie has decided to hire a CA to play the role of the Program Accountant. The VP—Quality has been given the role of the Risk Manager. In the next section, let us find out whether the right people are appointed to the team. William Cooke, the EVP of the R&D department, has no previous experience of running a program but has good knowledge in R&D. This is an incorrect choice as the Program Manager should be someone who can take the overall program forward. Belinda Dunes, the EVP of Global Alliance, has been identified as the Business Change Manager and also has a lot of experience in supply chain management. This is a good choice because she can make sure that the new product finds good buyers and can also oversee the supply. Kylie has decided to hire a CA to play the role of the Program Accountant. This is a good choice because a resource can be hired if not available in the organization. The VP—Quality has been given the role of the Risk Manager. This is again a good choice. A robust background in quality management will help in identifying blockers in terms of quality standards of the program. In the next section, we will discuss integrating program and project structures. There has to be an appropriate level of engagement between projects and programs. Project-level organization structures need to have clear leadership, direction setting, decision making, and management. The appropriate level of engagement between projects and programs is as shown below. There are different types of project organizations and different ways of integrating them in program organization, which will be discussed in the form of 3 scenarios. Some projects benefit from a dedicated Project Board to provide the required level of management direction and decision making. The Project Board should have a clear set of responsibilities, agreed at the program level, for directing the project and defining how the project interfaces with the program. The Project Board is chaired by the Project Executive. This scenario is most suitable for larger projects in the program. This scenario is especially suited for projects that are central to the program. The Program Manager plays the role of the Project Executive in the Project Board. This helps in maintaining a very tight, direct link between the project and the program. In this scenario, the Business Change Manager or BCM may provide valuable user side input and assurance to projects within the program. In this scenario, the BCM may fulfill the senior user or the Project Executive role on the Project Board. The BCM responsibilities are cascaded down to the Project Board and project teams. Senior user role in the project can be extended briefly to include transitional stability and benefits achievement. Also, a member of the business change team could be included in the Project Board structure with the focus on transition, stability and benefits realization. This role could have a number of other possible titles like ‘business assurance’, ‘business champion’ or ‘voice of the business’. In the next section, we will discuss how program organization fits into the transformational flow. Sometimes, it seems like a good idea that a different leader should lead the program in different transformational flow activities. For example, if the Program Manager is leading while defining the program, there should be someone else, in charge of realizing the benefits and should lead the program, when it reaches this stage. The BCM seems to be a more obvious choice as we are discussing realizing benefits. If such a decision is taken, it may lead to the risk of lack of continuity in leadership, management and in-depth understanding of the whole life of the program. In the next section, we will discuss ‘identifying a program’, ‘defining a program’ and ‘managing the tranches’ phase of transformational flow. The table below shows the relationship between transformational flow and program organization. The research/analysis intensive nature of this phase means the team is often composed of subject matter experts. The leadership style must be suitably receptive and open. For this transformational flow, the principle of design is paramount. The focus is on management and coordination skills. Unique skills needed during this transformational flow will not be needed during delivery. Program concentrates on outcome and delivery, so the activities and tasks to achieve this must be driven by a suitably focused style of leadership and management. An instructive style must ensure task completion with minimal disruption. In ‘Identifying a program’, most of the research and analysis work is done. So it is constituted of subject matter experts. Leaders should be receptive and provide an open environment suitable for this kind of work. In ‘Defining a program’, the design takes the center stage. Management style must drive the coordination and ensure that the best ideas emerging from across the boards are chosen. This transformational flow needs a different set of skills which are required only here. This is to ensure that the approach is more of “research” and gathering the data. Unique skills needed during this transformational flow will not be needed during delivery. The other transformational flows will build on the data provided by this process. Organization structure document is prepared at this stage. In ‘Managing the tranches’, the program concentrates on outcome and delivery. This process monitors the initiation of projects planned for a tranche and realization of benefits from outputs of different projects. So, the leadership is focused and sometimes instructive. This will ensure that all the tasks are completed as planned with minimal disruptions. At the start of this stage, the organization structure document is implemented and reviewed and updated at the end. Now let us discuss ‘delivering the capability’, ‘realizing the benefits’ and ‘closing the program’. The relationship between transformational flow and program organization is as shown. This is the process where project management skills are deployed. The focus should be on delivery, with project level activity, controls and governance being evident. The focus is on communications and the business change teams should be active in preparing the organization for change. Skills such as business analysis and planning are important. Support is provided in terms of training and resources to help the organization going through the change. Management style should focus on getting the job done. Organization structure document is reviewed and updated. In ‘delivering the capability’, the real focus is on project management skills. The focus is on project level activity and does not require the SRO involvement. Projects are initiated in this process and need expert managerial skills to ensure that the dependencies are carefully managed. The BCM ensures the quality standards of the deliverables. It needs expert governance skills to maintain coordination between multiple and sometimes, competing projects. In ‘realizing the benefits’, the focus is on communications and the business change teams preparing operational units for a change. Planning and business analysis skills are needed at this stage. For supporting the change, training and other needed support arrangements are put in place. During ‘closing the program’, the main focus is on getting the job done as benefits are realized and all the work is completed. Apart from this, the organization structure document is reviewed and updated. In the next section, we will review roles and their respective focus areas. Nervous about your interview? 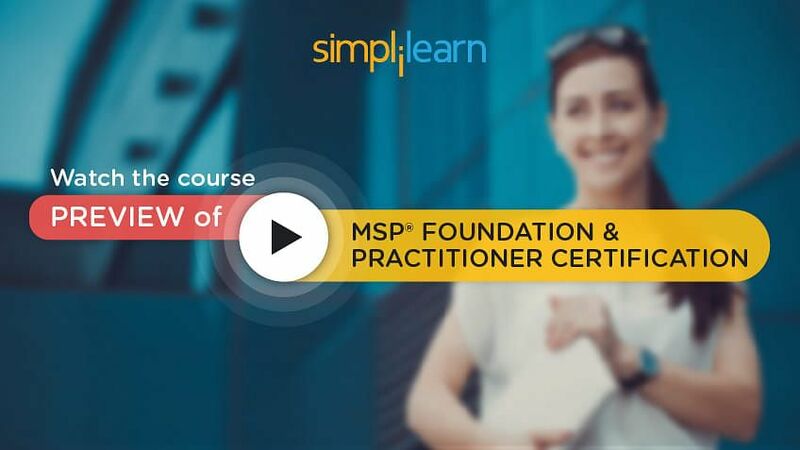 Enroll in our MSP Foundation and Practitioner course and walk into your next interview with confidence. The Senior Responsible Owner has to ensure that a program has the necessary skills, resources, and experience to deliver the change. It is important, as the SRO is ultimately accountable for the success or failure of a program. He or she has to put clear lines of authority in place. This will help to finalize the reporting hierarchy and issue escalation mechanisms. The SRO has to ensure that the Sponsoring Group members have a clear understanding of their roles and are fully supportive of the program. The SRO will keep the Sponsoring Group updated with the progress of the program. 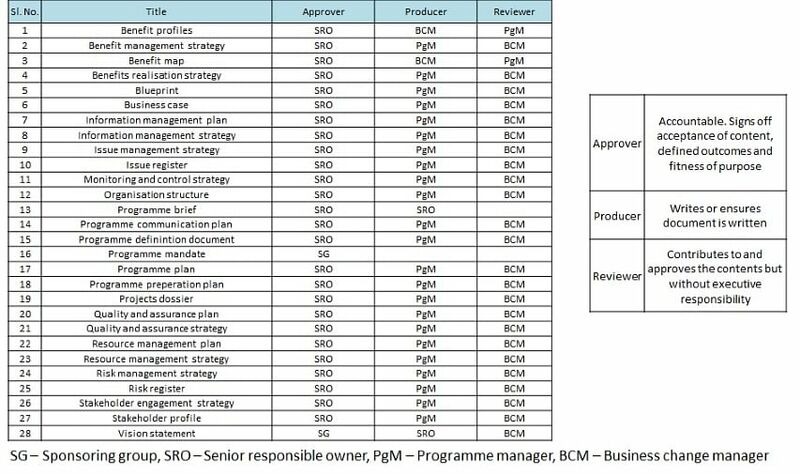 Appointment of the Program Manager and to get the approval of the BCM appointment by the Sponsoring Group members is the key challenge for the SRO. Both these roles will assist him in program delivery. 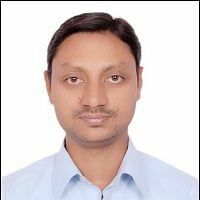 The Program Manager is responsible for the design and appointment of Program Team. He is responsible to ensure the success of the program by confirming that the right skills are available to each role. Appointment of the Program Office is also done by the Program Manager. The Program Office will support the Program Manager by coordinating the information, communication, monitoring and controlling activities. The Program Manager facilitates the appointment of the Project Management Teams. It ensures that the right resources and skills are available to each team so that they can effectively complete the assigned tasks. The Program Manager has to ensure that all roles have clearly-defined responsibilities to minimize conflict and effectively manage the program. They manage the overall organization design throughout the program and induct new members, whenever needed, after the approval from the SRO. Efficiency and competency of deployed resources are overseen by the Program Manager and required steps are taken to ensure that resources grow in their roles with proper training and learning opportunities. The Business Change Managers or BCMs are responsible for designing and appointment of the business change team in their operational areas. This team will assist the BCM in realizing the benefits and help the operational team transit to new methods. Once the team is identified, the BCM is further responsible for induction and management of members into the business change team. Once the team is formed, the BCMs will provide learning opportunities and develop the individuals to improve their performance. The Program Office is the organization information repository which maintains all the details and updates of information baselines. It provides advice and guidance on roles and responsibilities within the Program Team and supports in recruitment and appointment of right people in the right places. In the next section, we will focus on the program information baselines and the roles involved in maintaining them. Before we proceed further, let us understand the roles of approver, producer, and reviewer. The Approver is accountable for the information baseline. He approves the acceptance of content, defined outcomes and fitness of purpose. Once it is signed off, the information baseline is treated as an official document. The Producer is a role which writes or ensures that the baseline is written. If the producer does not have the required skills, it is his or her responsibility to find the right people for the role. The Reviewer will assist the producer and verify the contents of the documents even though they do not have any executive powers. The Sponsoring Group is not involved with the creation or approvals of information baselines once the program is matured. The Sponsoring Group acts as an approver for documents created in the early phases of the program. It approves the program mandate, which initiates the program and the program brief, which helps to define the program and vision statement shared with each stakeholder to gather support. The SRO is responsible for approving all other information baselines produced throughout the lifecycle of the program. The SRO delegates the responsibility of producing these baselines to the Program Manager and the Business Change Managers who prepare them. They are also responsible for producing the program brief and vision statement. The Program Manager owns the responsibility for producing all the baselines other than the ones dealing with “benefits” and the ones produced by the SRO. The Program Manager will also actively review the documents prepared by the BCMs. The BCMs are responsible for producing benefit profiles and benefit maps. They need to be prepared for each operational area as they have more visibility in these domains. The BCM will also review all the baselines produced by the Program Manager. In the next section, we will discuss the content of the organization structure. The organization structure is a governance baseline and is produced by the SRO. It describes the management roles, responsibilities and reporting lines in the program. This document will ensure that a hierarchy is in place that assists in effective program management and issue resolutions. Program organization chart or structure identifying the roles that are needed for the program management. It will also provide the description of roles and responsibilities of the individuals in the Sponsoring Group and the Program Board. This will help identify correct individuals for the Program Board from within the program. It further details the description of the roles of program management team members. This document will also focus on business change management organization and responsibilities which helps the BCMs to identify the business change teams. By defining the responsibilities associated with each role in program organization, it explains what is expected of individuals as per their roles and helps them understand how they can add value to the program. It will also identify groups like the Sponsoring Group and other senior management groups that are there to assist the program and how they should be approached. This document will also allocate the assurance responsibilities within the program to increase the confidence of stakeholders and teams. The baseline will also focus on the professional and personal development of the team. The SRO chairs the Program Board and the Program Managers and the Business Change Managers are always a part of this board. The Program Manager is responsible for leading and managing the program on a day-to-day basis. The Business Change Manager is responsible for realizing the resultant benefits by embedding new capabilities in business operations. Assurance is an assessment of specific aspects of the program to generate confidence that the program is managed effectively and is on track to realize the planned benefits. Effective program organization is critical to program success. Program organization focuses on the roles, defines the responsibilities and details of the program hierarchy. Program leadership consists of the SRO, the Program Manager, the BCM and the Program Board. The Sponsoring Group formally provides the organizational context for the program. The Senior Responsible Owner or SRO has overall accountability for the success or failure of the program. There is a need for an appropriate level of engagement between projects and programs. Project-level organization structures need to have clear leadership, direction setting, decision making, and management. The transformational flow must ensure continuity in leadership, management and in-depth understanding of the whole life of the program. The main focus areas for the SRO are to ensure that a program has the necessary skills, resources, and experience to deliver change. With this, we come to an end about program organization tutorial. In the next chapter, we will focus on Vision and Transformational Flow.